Will this script also work for Lubuntu 18.04? When running without a graphics card or on a virtual machine I have to install xorgxrdp to make XRDP work at all. I tell my experiences with Ubuntu 18.04. I install Ubuntu virtualizado with Proxmox, with the previous versions and the information of this web, I have not had big problems to work with the different flavors of Ubuntu (Mate, Xubuntu, etc). With this latest version installed with the sript on this page, it works perfectly when I enter xRDP, but when I share the disk drive, the folder “home / user / thinclient_drives” is created with the disk or disks comprated from xRDP, This folder fucniona bien until I close the session and reconnect, at that time the folder is inaccessible giving an error. 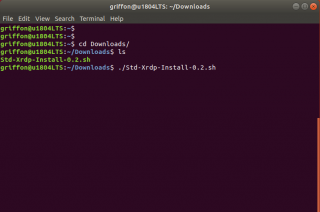 If I restart Ubuntu or dismount the folder with “fusermount / home / user / thinclien_drives” the next connection is correct and I will have access to the shared disk again. I have access to the “Share printers” connection, only the Clipboard and Units are active. The same result I get with Xubuntu, Lubuntu and Mate without the sript. I want to inform you that, in my experience, in Xubuntu, Lubuntu, Mate, etc, installing xrdp (sudo apt install xrdp) is enough to work correctly, even the keyboard, except the problem I mention sharing local resources. Thank you and sorry for the automatic translation from Spanish. Downloaded the script and run it. Everything installed properly, but when testing from windows-PC, the session is never activated. Only with the user logged in, I can see the splash image from xorg, but, when credentials are entered, black screen first, and then disconnected. No clue for the moment… Can you check your Logs and see if there is any additional hints….. Does 18.04 really only allow a single connection per user (local or remote)? What is the point of xrdp then if I have log out locally first? Any suggestions around this restriction? After I log in remotely, I can no longer login locally with GDM3. If I switch to another terminal (Ctl+Alt+F6), I can login. If I then run /etc/init.d/gdm3 restart, I can login again. This is annoying. Also, I would very much like a solution where I didn’t have to logout of my session. It’s ok if xrdp makes a new session, just don’t force me to logout of the local one. However, it would be perfect if it actually behaved liked a Windows box and let me remote into my local session. I have been trying to set up remote access to an ubuntu vm the entire day. Finally at 1am I find this post and within seconds RDP is up and running. I wish I knew about you sooner. In the past, it was possible to connect to a session locally and/or remotely. Changes introduced in the latest version is not allowing concurrent connection from the same user. You can connect either locally or remotely but not both. It might be possible to change this behavior but you have not checked that… Now, depending your usage, you might find some workarounds….An easy trick we have been using is to define a additional user account on the computer that can be used to kill a user session and allowing to connect to the ubuntu machine…. We completely understand the frustration here. However, we would need to push these requests to the team behind xRDP…. 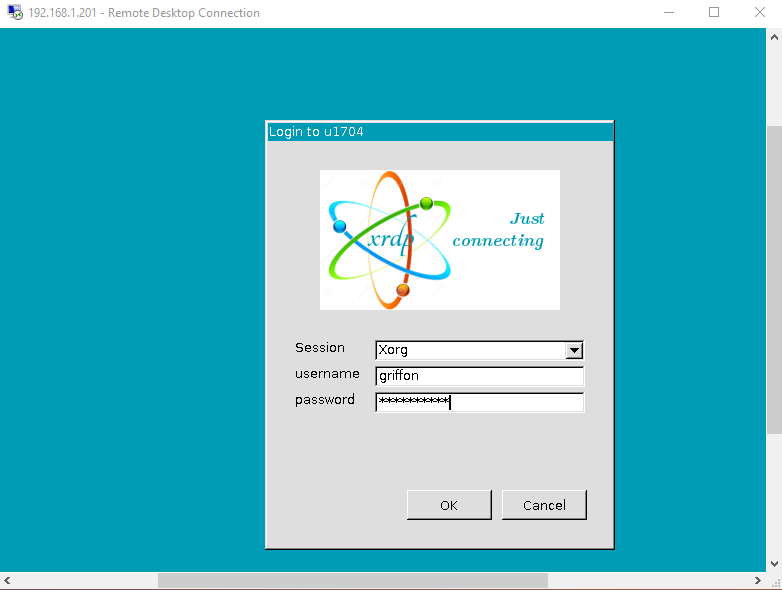 There might be a way to bring back the possibility to connect locally and remotely with xRDP but we have not looked and find that option…. Days (on and off) trying to get VNC to work properly and reliably with no luck. Minutes if not seconds with this and I have a perfectly working connection. This is brilliant thank you so much for the time taken to create and share this. It really is appreciated. For those of you using this script on Ubuntu server this does not install a desktop environment as a part of the script. This causes the problem that Jorge saw above. 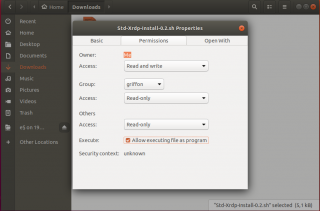 I usually use Ubuntu Server and have used your instructions in the past to install Mate along with xRDP. I just wanted to point that out for others who might run into this. Then I was able to RDP without issue. 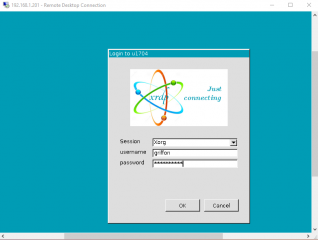 Add RDP (3389) to your security group or create a new security group and add it to the instance. 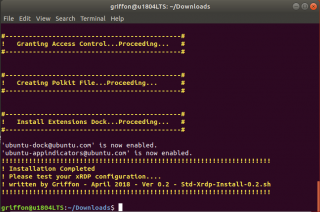 What is the differences between working directly on local ubuntu to working through Xrdp ? I mean the sessions etc..
in XRDP, the env variables are not the same or need to be defined through the xrdp config file…. Hi All, and thanks for the hard work. 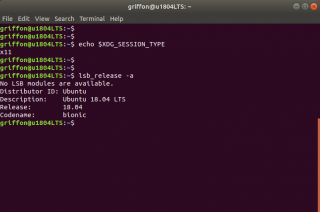 I first tried an Ubuntu 16 patched to 18 the script was unable to detect the version properly, I am very new to linux so did not care so much, so I ended up performing a clean setup of Ubuntu 18. I have deployed it into an Intel Compute Stick which works like a charm. Once executed the script, I was able to connect, but after noticing I cannot login into local session, I rebooted. Since reboot, I cannot connect to xrdp, the service seems not to start at system boot and when I launch it manually it starts listening, I can login, but just after entering user credentials the connection gets disconnected. Can anyone give any clue o help on why this is happening. I should have noticed that RDP connection closes immediately because the local user is logged on, once logged out it works like a charm. For anyone interested, I am using it behind a “Terminal Services Gateway” and it works flawlessly. Also, I needed to re-enable IPv6 on GRUB, actually I don’t know if it makes so much difference on performance but I decided to disable it, just because I don’t use it on my internal network and because someone on another forum claimed it will solve some issues with Intel Compute Stick compatibility. 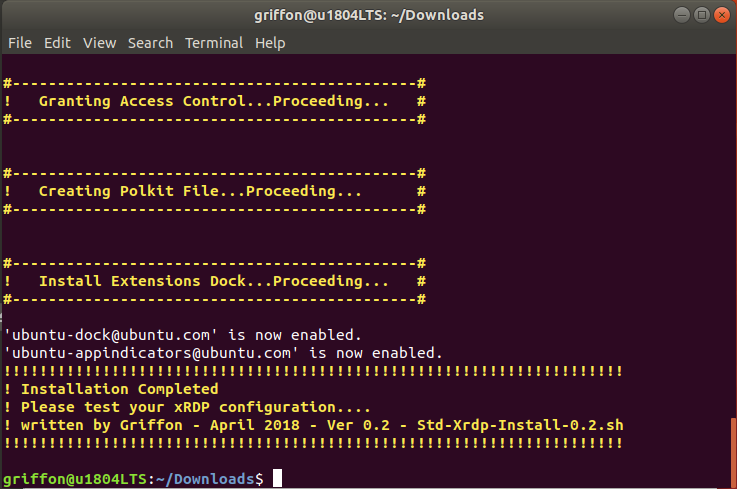 Once registered, XRDP will start at boot and work so well. 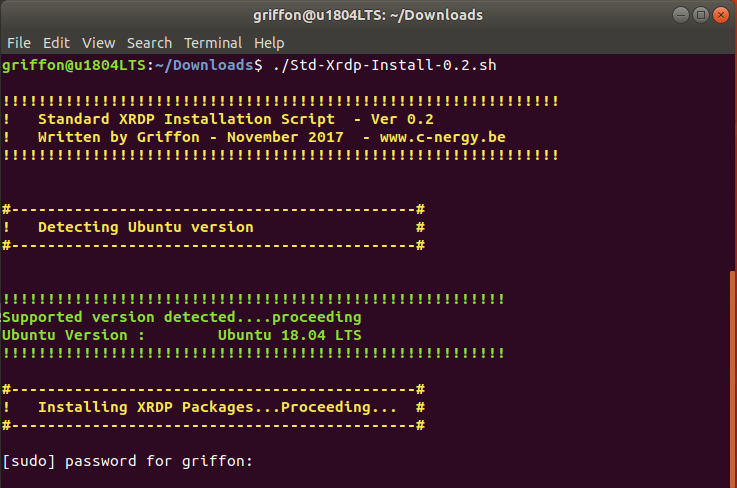 Spend a couple of hours trying to fix xrdp on Ubuntu 18.04 until I found your script. Works now perfectly. Thanks for sharing your findings. Check out for most recent version of the script which might bring more “features”…. Hello! I have a blog about home automation. I will include your script in a guide. I will add a reference to your site as it should. It is necessary to give to Caesar what belongs to Caesar. I know how to recognize all the work behind this script. Once again thank you. 2.- Restart all you Ubuntu Desktop 18.04 and do not login in, in windows side connect using remote desktop. 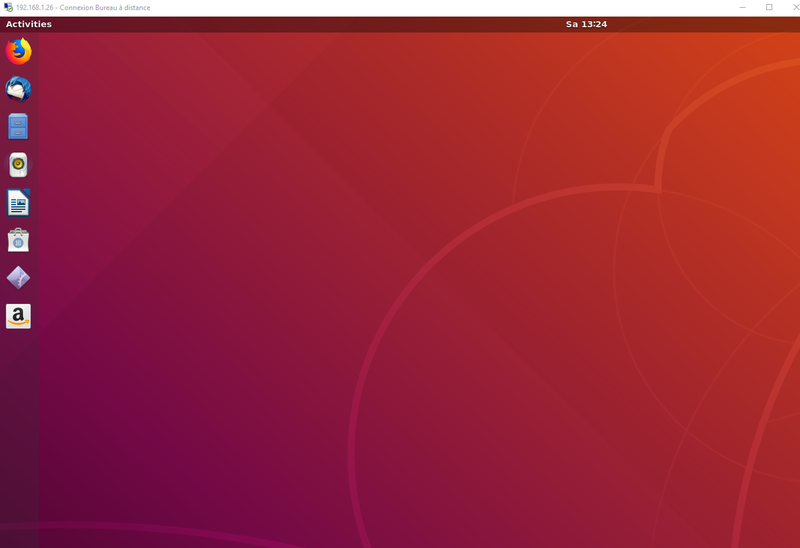 Tip: If can not connect to ubuntu 18.04, login in Ubuntu 18.04 and type this in a terminal: sudo systemctl enable xrdp, then restart again you Ubuntu Desktop 18.04 and do not login in, go to windows side and try again the connection using remote desktop. Because my version is 18.04.1 your script is aborted because you have a condition in your script that validates that the version is 18.04 and if it is not fulfilled it ends the execution of it. I deleted in your script the section where that condition is and then run your script again and everything worked wonders. Maybe you could add to your script that if the version is 18.04.1 then proceed with the execution and do not abort the installation as it does at this moment. Thank you for your visit and your feedback. About your suggestion… Please note that you are using an old version of the script (0.2). This script is updated on regular base and new versions are available… The latest version of the script is 0.5 and take into account the fact that update releases are present.. So, it will detect that you are running Ubuntu 18.04.1… So, please check for newer version which brings some additional options and some bug fixing….. Thanks for this. I just tried the script and it worked perfectly with a fresh Ubuntu 18.04.01 LTS (for x86) installed into a virtualbox VM running on a Win 10 host. However, I could only get this running on vanilla Ubuntu 18.04 and 18.04.01. Though it would’ve been my preference, I couldn’t get xrdp to work with Lubuntu 18.04/18.04.01 or Kubuntu 18.04/18.04.01; that is, not using your script. On both Lubuntu 18.04.01 and Kubuntu 18.04.01, the xrdp session would start but only a black desktop would show and nothing else on RDP client. i had to add #!/bin/bash at the beginning. Used a fresh 10.04.1 installation. I’m not sure where I went wrong here. I have 18.04 LTS on my server, and I’m trying to connect from a Windows 10 machine. Ubuntu says that xrdp is running. netstat agrees that xrdp is listening on 3389. 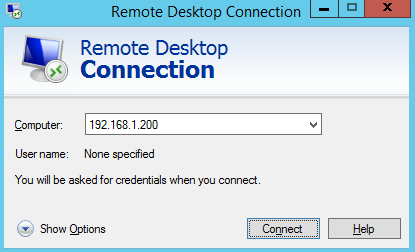 However, I only get “Remote Desktop can’t connect to the remote computer ” blah blah blah. I can ping both ways. This is usually a no-brainer, but I’m stumped. I would first check basic stuff like indeed network connectivity, firewall…. 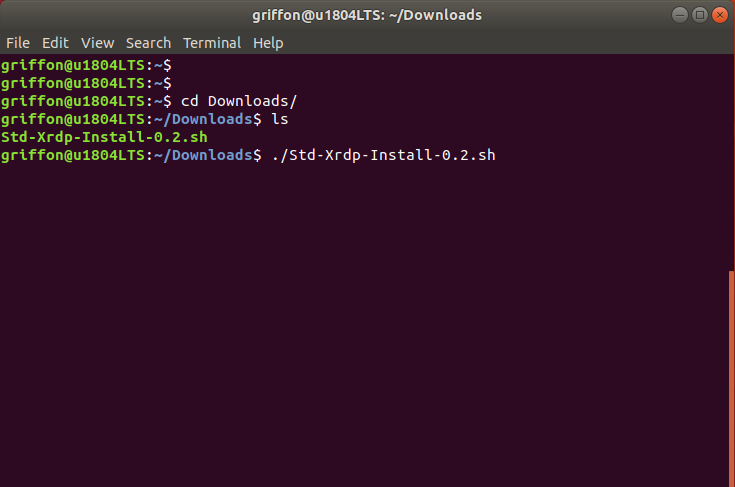 Then I would try to connect via xrdp from another machine (Linux or Windows) and see if this is working…. First of all, I would like to thank you Griffon for sharing your knowledge with us. 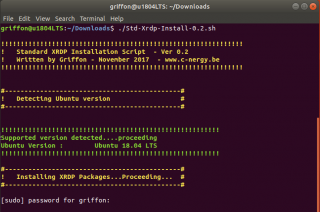 – RDC Connection works with clean Ubuntu 18.04.1! Which is great. – When connected via RDC, the window’s header section lacks minimize, maximize, and restore buttons. Thank you for the visit and the positive feedback…. First of all, there is a new version of the script in order to perform the xrpd installation..This might fix the issue for the windows headers. I have the exact issue you are experiencing. Have you found a way to fix it? Thanks for sharing, Griffon! The installation of your xRDP script worked well and I can connect to an Ubuntu 18.04 from my Mac using ms remote desktop for mac v10. 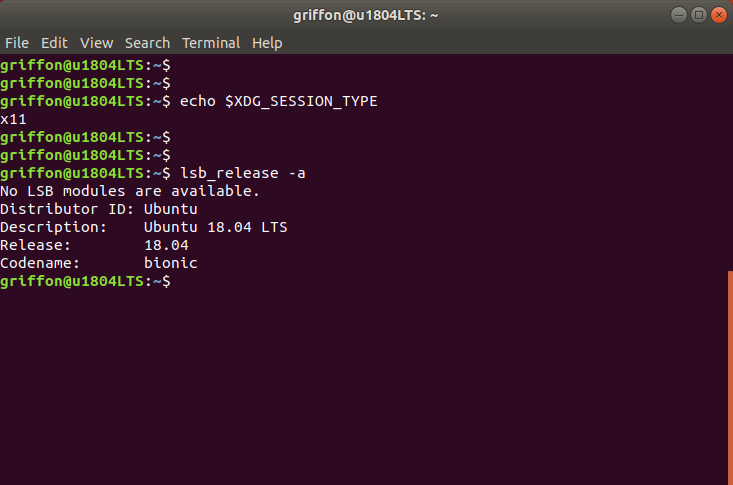 However, on the Ubuntu machine there are a couple of partitions (on separate hard drives) which only can be mounted as read-only and I can’t perform write/delete operations. Is there a way to resolve this or this is one of the limitations of xRDP.